It appears a San Diego woman accused of vehicular manslaughter following a crash after smoking marijuana is using the defense that the dispensary budtenders where she bought the product were poorly trained and inexperienced about conveying the dangers of it. The 33-year-old San Diego student who was catastrophically impaired by the crash she allegedly caused, is being charged with gross vehicular manslaughter while intoxicated, murder, and driving while under the influence of drugs (DUID). “She had no idea what she left that store with in regards to strength,” her advocate told jurors. 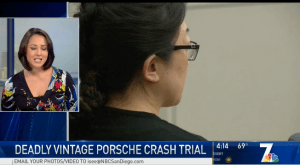 The collision and the woman’s subsequent arrest occurred on March 27, 2016, when she collided with a vintage Porsche on Pomerado Road between Caminito Alto and Sycamore Test Road killing a 43-year-old woman driving that vehicle. The other driver’s classic 1956 Porsche only had lap belts and no airbags. The offending woman’s attorney claims her client cannot be convicted of murder, due to the fact that his client had been sold Jupiter OG marijuana and didn’t realize the potency of the product. The defendant’s attorney claimed his client made a “naïve and negligent mistake,” but added that her mistake was compounded by the dispensaries poorly trained staff. The defendant had a medical marijuana card, so she could purchase the drug to treat her social anxiety disorder. The defendant claims she consulted with the dispensary staff for a full 9 minutes for consultation purposes. She also claims she pulled over a few times on the way home to take a few puffs. The defendant also claims she lost feeling in her legs, arms and lost her hearing right before the crash. Police reports indicate that they found two different kinds of marijuana in the defendant’s car, as well as a pipe that still felt warm to the touch. If convicted of all charges, the woman could face a total of 22 years to life in prison. When Is a MMJ Dispensary Negligent in a Customer’s Car Collision? Juries tend to be harsh on servers of alcohol, when they continue to serve to those who are already drunk. So, judgement and training can be a factor considered in a trial. In many cases, the drunk driver is not always the only person held responsible. In Colorado, the dram shop law states that a business licensed to sell alcohol in Colorado may be held liable, if they sell or give alcohol to a visibly intoxicated person or to a minor under the age of 21 that causes injury to someone else. So, we may see a new twist on dram laws in lieu of this and other DUID cases like it. 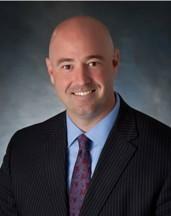 Contact a Colorado Springs DUI/DUID Defense Lawyer at Anaya McKedy P.C. If you have been charged with DUID causing injury to another person, then you should consider the experienced Colorado Springs DUI Defense Lawyer at Anaya McKedy P.C. It doesn’t matter if this is your first DUI/DUID or you have prior DUIs, call our Colorado Springs DUI/DUID Defense Lawyer today at (719) 227-0007 or by emailing us using the contact form on this page. 1“Defense: Lack of Warning on Marijuana Potency Led to Fatal Collision” published in Channel 7 San Diego, June 2018.